Neumann Lecture on Music, Dr. Guthrie Ramsey, "Hide/Melt/Ghost: Writing the Early History of African American Music"
Dr. Guthrie Ramsey, musicologist, pianist, composer, and the Edmund J. and Louise W. Kahn Term Professor of Music at the University of Pennsylvania, discusses how the musical practices of the enslaved were deployed as an important sign of humanity, a melting pot for the diversity of African cultural groups that would become African American people, and as soundtrack for paranormal events such as spirit possession. 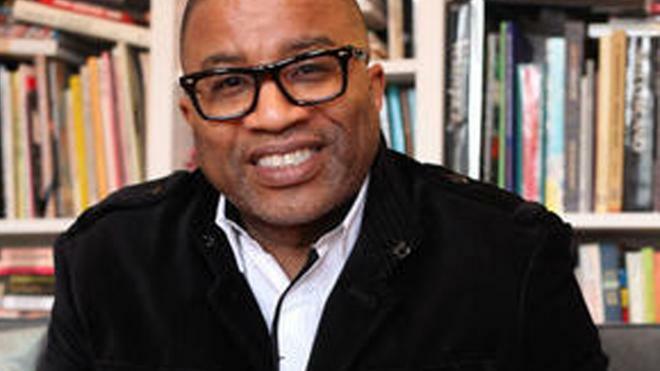 This lecture, featuring live music and film, draws upon his current book-in-progress, Soundproof: Black Music, Magic and Racial Intimacies, a history of African American music from the slave era to the present. Music did not and does not just reflect community values, it “makes” communities and creates social bonds.